Home ⁄ Nuts ⁄ Almond ⁄ Rita’s Secret Cashew Lamb Curry revealed! Rita’s Secret “Kaju Mutton ” Cashew Lamb Curry revealed ! 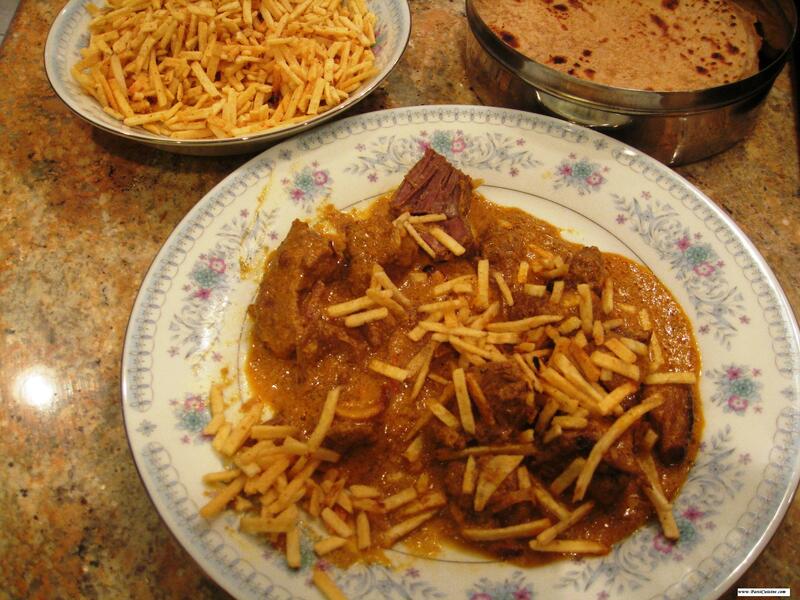 Lamb can be substituted with Mutton. 1/2 tsp safforn (optional)Add to taste: Salt and about 1 cup thick cream at the very end. In a pan heat 3 tblsp oil and sauté onion till translucent. Add the cinnamon sticks, cardamon and cloves. Stir well and brown the onion. Saute Lamb pieces for 15 minutes on medium heat. Add the dry spices now and saute 10 more minutes. Add oil if needed. Give it a good stir and add the saffron, enough water to get a good gravy and close the pressure cooker lid. Bring the pressure cooker to the first whistle on medium heat and then and let it cook on the lowest flame till the lamb is cooked to desired tenderness. (15 – 20 minutes). Remove Lamb curry and add the cream. Sprinkle with potato matchsticks (sali) and serve. Tip: For added flavor you may roast, soak saffron in little hot milk. Red curry powder is simply the curry powder I make and use at home. It has some red kashmiri chillies ground in it, that gives the red color. You can add 1 red kashmiri chilli powder for the color and taste. What is “red” curry powder? is the lamb marinated in something? ?